Sapphire has long been called the "Stone of Destiny". For according to legend, its rich blue color was believed to improve mental clarity and perception. 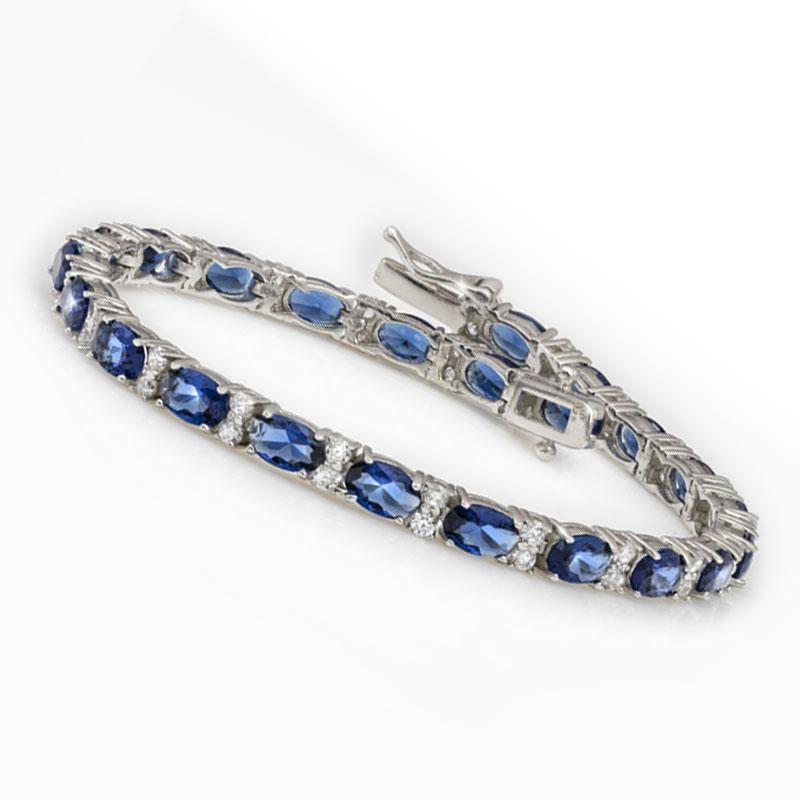 Wear this elegant bracelet and it's safe to say you're destined to get compliments. The finest blue sapphires in the world are a vivid strong blue color, and a fine sapphire bracelet is an heirloom quality piece of jewelry that never goes out of style and is always admired. The Stauer DiamondAura® Blue Destiny Bracelet does not disappoint as the lab-created stones are as blue and the bluest sapphire. These blue beauties are joined by white DiamondAura stones, creating a fire and brilliance that cannot be denied. A 14-carat sapphire bracelet would retail for as much as $3,400 at a jewelry store on 5th avenue. Our 14-carat Blue Destiny Bracelet can be yours at an attractive price, making it a very foreseeable part of your future.